For a list of all the posts on ERE, see the automatically generated sitemap. It began back in 2007 when I was writing small essays on random topics on one of the larger web2.0 sites at the time (no, it wasn’t facebook). I don’t know how, but after getting an article published in an e-zine for creative writers, I somehow stumbled on the concept of blogging. Soon after I found a personal finance blog (huh, what, you can blog about a single topic?!) and immediately thought that, hey, I could write something like that. At the time my biggest hobby was quant finance(*) and investing. I had started investing three years earlier (in 2004) and was quickly increasing my passive income. Before that I had simply saved my money in a savings account (being from Europe where stock investing occupied somewhat of a niche, I didn’t know any better) while learning self-reliance skills in preparation for a post-peak oil era. Anyone who is preparing for a world with scarce resources is going to learn ways to “do more with less” and at the same time save a ton of money. Especially once it’s learned how to substitute brain-power for shopping. (*) I now get paid for doing my hobby. Nice! So I gave it a financial angle and put two and two together: low spending plus high saving equals fast financial independence. And then I made the biggest mistake of my blogging career: I decided to call my new blog “Early Retirement Extreme”. Yes, I picked the wrong name for my blog. Oh, what little did I know of the eventual problems this would create! In the beginning I wrote about the usual little tips and tricks of personal finance (like, “don’t use milk in your coffee”, cute, huh? ), but eventually the thoughts began to coalesce and condense into a systems theoretic framework. Going from the description of individual and separate tips, the focus shifted to what they had in common. Instead of looking at marginal improvements of separate parts, the focus shifted to what synergies could be obtained by picking and chosing things according to the most efficient and optimal structure. In many ways, ERE is similar to permaculture because they both use systems thinking. ERE is built directly on systems theory (mainly from operations research) but most people are more familiar with permaculture which also has a systems thinking foundation. Therefore I am I going to use permaculture as an analogy. In permaculture, one tries to understand how different plant and animal species interrelate with the goal of creating an arrangement with the highest possible production using the least amount of effort. The idea is to replace doing with thinking. Permaculture is brain-intensive rather than pesticide and fertilizer intensitive. You locate one plant (your job) close to a second beneficial plant (your home) which automatically fertilizes the first so you save on fertilizer (transport). You arrange plants (things you do) to minimize evaporation (wasting) so you no longer have to water them (spend). Eventually, your life will be so optimally designed and arranged in such a way so as to get paid for participating in your hobbies, get free food (from the garden) and exercise and eliminate unhealthy sideeffects like illness and stress. Conversely, a non-permaculture way of thinking focus on increasing yield (income) of a single crop (your job) by increasing the amount of fertilizer (effort), using genetically modified seeds (technology and gadgets). You see the analogy, right? Actually a lot of the comments I get about ERE being “too extreme” and “too much sacrifice” is from those who do not see the analogy. You can imagine how an industrial farmer sees permaculture before understanding it: “Wow, your production (standard-of-living) must be low (austere) given the tiny amount of fertilizer (money) you use (spend). After the framework began to take form, I made a second mistake: I did not change the blog name. Curses! But I think I can be excused because it was never really an issue at the time. Nobody complained. Blogging was fun as it allowed for many creative interchanges between me and a group of very smart readers (if you ever decide to read all 993 posts, please make sure to read the comments too!) and I was synthesizing the ideas into the book I was writing. Then the blog started to get popular. I finished the book and published it and since ERE at the time was rather well-known with 100,000+ monthly pageviews (ultimately to peak at over 300,000 per month in 2011), I decide to use the same name for the book title. What I didn’t foresee was the problem with the word “retirement” in the blog name. 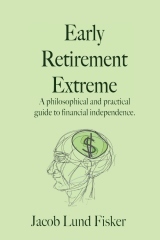 This became all to clear to me when I decided use my ERE-lifestyle to accept a job offer even as this is mentioned as one of the many things one can leverage ERE into (in chapter 1 of the book) and even as turning your hobby into an income source is measured as a desirable goal (in chapter 4). Those who had followed along reading the blog and the book easily understood this. Not so with others. Apparently, for some, the word retirement really does mean moving to Florida, taking one’s medicine at regular intervals and ABSOLUTELY not accepting money although consulting is okay(!) I’ll spare you the details other than pointing out that everybody who found it objectionable to take a job (also known as the Internet Retirement Police) seemed to have their own rules for what was allowed. I think the problem can best be described in terms of how we think about words. Please go and read about the Kohlberg stages. It’s important. Read all of it. I’ll wait. Observe that each stage is predicated on graduating from the former. In short, as people mature, they move from one stage to the next but they never jump stages. Each stage is necessary to understand the next one. I described a similar progression in the ERE book (chapter 5) in terms of the ability to both think (which is separate from morals) and to do things. Similar to Kohlberg’s stages, these can be grouped with 1-2 belonging to the “technician”-class, 3-4 to the “mechanic”-class, and 5-6 to the “designer”-class. Certainly, in terms of skills, one can be in stage 1 in one area (my ability to speak Klingon for example), stage 3 in another area (my ability to handle a sword), and stage 6 in yet another (my ability to analyze data). In terms of blogs a similar division in focus is seen. Some blog about level 1 stuff doing roundups. This is actually the original purpose of a blog (=web log, that is, “a description of the sites I visited today”). Some write about level 3 stuff, the latest tips and tricks for this and that. A great number of bloggers write about level 4, namely how they use the various tips in everyday life. They show you how to combine tips and tricks. A few write about level 5 and 6 which can be called lifestyle design blogs. It’s not that bloggers writing at higher levels are necessarily better or more evolved. Clearly blogs written at all levels are necessary to increase understanding. It would be extremely hard to write in a way which teaches something all levels. Most of the best posts (in my opinion) on ERE are designer posts. Sometimes there are mechanical posts, that is, how to tweak this or that, but there are few “tips and tricks”. I’ve never written much about technician issues so I never really thought about it. It seemed to me that everybody eventually developed into mechanics or beyond(***). Why is using the word retirement such an issue? Because it confuses those whose comprehension is at the “copying”-stage. They have only one understanding of a given word. In their mind, one word can not possibly cover more than the one meaning this particular person has for it. I have seen such people insist that if a word doesn’t have the exact meaning it has in the dictionary, everybody will be confused. I’m not making this up! However, consider that under such assumptions, it would be impossible to have a philosophical discussion. It would never be possible to discuss anything whatsoever that didn’t already have a word for it. (***) In general there’s a drift of readership from reading level 1 blogs to level 6. When I was still blogging _regularly_, many told me that they had drifted in from certain other blogs and now only read ERE. However, exposing ERE to the mainstream meant a sudden exposure to level 1 understanding. Compare this to level 2, where a word can have two different meanings or level 3, where a word can have many different meanings. Level 4 where the differences between the words can be understood (e.g. what’s meant by the word freedom?) Level 5 where the differences can be evaluated (e.g. what’s the difference between a terrorist and a freedom fighter?) Level 6 where new concepts are ascribed to words (this is when you start philosophizing). So yes, I get it. I see the problem now. “Retirement” is a bad-bad-bad word to have chosen. By choosing such a loaded word, I essentially painted myself into a corner by not being comprehensible to level 1 who are still beyond pedagogical reach when it comes to design-thinking. The best replacement suggestion on the forum which describes ERE much better is “emergent renaissance ecology” (thanks Maus!) or “extreme renaissance ecologist”. However, I bet that would cause similar problems (“How can you call yourself an ecologist when you invest in the stock market? !” or “How can you call yourself a renaissance anything when you don’t wear tight trousers? !”), so maybe overall to avoid level 1 complaints (or is that level 1 complainypants?) it would have been better to choose a completely nonsensical or noncommital name for a blog. Is penguinmukluk.com taken—I want to write about diesel engine repair but also maybe gas engines so just in case… I want to preempt the complaints. So what’s the lesson here…other than “think really carefully about your chosen domain name if you ever start a blog”? It is the following: If you ever bring up ERE or any other kind of conceptually advanced lifestyle design to a random person (like your BFF or spouse), be very careful about the words you choose so as not to trigger any preconception. Use what they value. If they want to travel talk about how it works for that. If they want FU money to get more freedom at work, talk about that. IF they want early retirement, present it that way but otherwise it would be wise to refrain from using the R-word. ERE works in lots of different settings. A friend of mine is “selling” the ERE book as a way to quit the dayjob and become entrepreneurial without going into debt. He also thinks, like many others, that all I have to do is to rebrand ERE in 10 different ways: one for entrepreneurs, one for new parents, one for aspiring beach combers, one for late retires in panic mode, one for intellectual gunslingers (=me), one for permatravellers, one for survivalists, and so on. But but but, I don’t want to be the Ramsey, Orman, or Kioysaki of ERE with 10 books and workshops and motivational audiocourses. It wouldn’t be fulfilling to me. So I don’t. You know, “just because I invented a car doesn’t mean I want to run a car company or even teach people how to drive.” Got it? 53 users responded in " The biggest blogging mistake I ever made … "
I think it is great that you blog about whatever you want such as the difference between frogs and the modern human. I enjoy that you’ve never lost touch with the fact that its your blog and you can write about whatever the hell you want to. I also have more respect for blogs that preach early retirement or financial advice and don’t sell out to mainstream media to increase revenue from their site. Thank you. There is still tons of great information in your recent blog posts, archives, and the forum for people looking to achieve early retirement. As someone who has both read your blog, and implemented some of the philosophy in your book thus far, I thank you for publishing it. I think some people will always have trouble believing “early retirement” and extremely frugal living can be done. They will also have trouble believing someone can live on say, 10 – 20% of the annual income for most middle class folks. So, they will express this disbelief in the form of “poking holes in your story” so they can feel better about the “fact” (in their head) that it isn’t possible. Myself, I see the concept, and view it from an “improved life” perspective … so I don’t need every little detail to prove your website domain and philosophy accurate to understand that it is possible. But as always, mileage will vary, and results will differ from person to person. Love, love, LOVE the reference to Systems Thinking and Permaculture. As a Sustainability Consultant, and an engineer, I have to try to get people to understand that we can’t just engineer our way out of our environmental mess… i.e. find a ‘better’ fertilizer, to use your analogy. We need to reduce first, integrate, and play off of synergies first, then find alternatives. So really, simple living, like ERE & MMM is the ‘real’ green lifestyle, which also happens to bring more health, wealth and happiness. This is the reason behind my blog… i.e. trying to get people to live simpler, more fulfilling, healthier lives instead of just get hybrids so that they can live in suburban sprawl with solar panels for their 4,000 SF LEED certified McMansion. However, I have had a couple of comments that people are offended by the term ‘fat’ in my blog name.